posted: October 27, 2015 by: Vetstreet Tags: "Clinic Specials" "News"
Chocolate toxicosis is a common problem in dogs, but less common in cats. Depending on how much chocolate is ingested, the signs can range from a simple stomach upset to life-threatening problems. 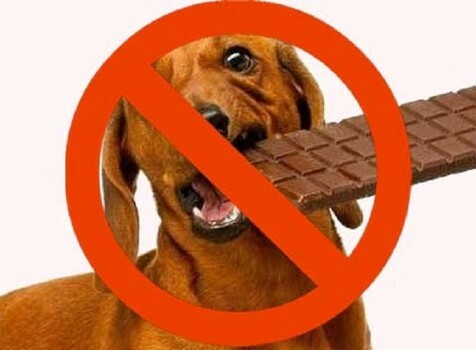 Dark chocolate and baking chocolate are more toxic than white chocolate, but all of these should be withheld from pets. Cacao bean mulch used in gardens can cause chocolate toxicosis if a large enough amount is eaten. Dogs have a tremendous sense of smell and tend to be very curious about their surroundings. If there is chocolate in your home, there’s a good chance that your dog will find it and eat it. This means that leaving candy on a countertop or on a coffee table puts your pets at risk. Dogs will eat the entire contents of a “trick o' treat” bag or an Easter basket if they have a chance. They will even knock trays of brownies or cookies off the stove and eat them. Make sure to keep all tempting chocolate treats away from your pets.